Prof: In an effort to continue to celebrate the fact that baseball is a worldwide family, today our music is decidedly Latin flavored. Do I understand what half of the lyrics are? Nope. But good music is good music and you can get your jam on no matter what. I’m starting out with an all time favorite of mine. Feel free to share any that you particularly enjoy! Athletics 13, Orioles 2 – Scouts: Woof. Chris Davis was given the day off to try to I dunno feel less terrible about his new horrible record. It didn’t help the Birds much. A day after hanging 12 on the A’s, the A’s hung 13 on them. It was pretty brutal. 8 of the A’s 13 runs came in the final 3 innings. Nationals 10, Phillies 6 F/10 – Prof: Frankly, both starting pitchers were kind of garbage in this one, which is surprising consider who they were (Strasburg and Nola). This was a dingerfest. Franco and Harper went yard for Philadelphia, while Gomes, Kendrick, Robles, and Soto mashed for Washington. Twins 14, Mets 8 – Scouts: Ouch, Jacob deGrom had a night to forget, allowing 3 of 6 homers in this whoopin. Mitch Garver and Jonathan Schoop each went deep twice, while Eddie Rosario and Jorge Polanco also went yard. The Mets got 3 homers of their own, but never really were able to keep the game all that close. Dodgers 0, Cardinals 4 – Prof: Remember when you were in school? Remember group assignments? Now, it’s been about twenty years since I was in high school, but I remember there was always that one slacker who didn’t do much and it was only because of someone else’s 100% that you had a passing grade. Well, last night Marcell Ozuna was that slacker, and Yadier Molina was me. I mean, the person whose 100% saved the day. Yadi drove in three runs and Ozuna…well…. Yankees 3, Astros 6 – Prof: The Littlest Second Baseman Who Could hit a solo homer in the third and an RBI sac fly in the eighth, while George Springer and Michael Brantley both had RBI doubles. It continues to be feast or famine for the Yankees’ offense. The only player with more than one hit was Gary Sanchez; the vast majority went 0-4 all night. Mariners 6, Royals 3 – Prof: Seattle continues their incredible season opening hot streak. They are now 11-2. How about that Jay Bruce? I feel like we all forgot he was even alive there for a while, but he’s reminding us that he is still lacing up the cleats. Dude hits a homer from the jump, plus had an RBI. Dee Gordon and Ryon Healy had themselves a night, and Dan Vogelbach continues to be ridiculous. The Mariners’ DH current is rocking a .500 batting average. A bright spot for Kansas City was Billy Hamilton’s ridiculous run for home from second base. Usain Bolt called, he said to slow down a little. Braves 7, Rockies 1 – Scouts: Colorado has not looked terribly good so far this season, and it didn’t help they ran into a Braves team that was just starting to heat up. Max Fried continues to make his case to say in the rotation, holding the Rockies to 1 unearned run over 6 innings. Ronald Acuna continues breaking out going 2-4 with another homer. Rangers 4, Diamondbacks 5 – Scouts: Down 2 runs in the 9th, Jarrod Dyson got the call and he responded with a walk-off 2 run homer into right. The homer spared Zack Greinke from another loss in another not so spectacular performance. Greinke went 6.2 giving up 4 runs, 3 earned and now holds a 7.16 ERA. Padres 2, Giants 7 – Scouts: Kevin Pillar enjoyed his first career Grand Slam on Monday so much, he decided to go ahead and do it again. Hey Kevin, I could have told you Grand Slams were a lot of fun, why did you wait so long to try it out? Spiders 8, Tigers 2 – Prof: The Klubot finally gets a win. The Magical Land of Cleve tore it up, hitting four homers, while the Cleveland ace struck out eight. Insult to Detroit’s injury when Mikie Mahtook allowed two errors due to an error. Blue Jays 7, Red Sox 5 – Scouts: You know things aren’t going very well when you have players stealing home on you. The Blue Jays sat back and watched the Red Sox celebrate their World Series, and went ahead and ruined the moment by literally stealing a victory. Chris Sale lasted just 4 innings, is now 0-3 and is sporting a 9.00 ERA. To make matters worse, he only struck out 3 batters in those 4 innings. Once Sale left, Boston used up SIX (6) relievers to close out the game. That’s a move that might haunt them in the coming days. Rays 10, White Sox 5 – Prof: It’s good to see Charlie F’n Morton in the win column. The right hander went five innings and struck out seven. A fellow named Austin Meadows went 4-5 with 4 RBI including a two run homer. Marlins 0, Reds 14 – Prof: First of all, who lets a team hang over a dozen runs on you, including five home runs, and not even get a sniff? The sadsack Feesh, that’s who. The Reds were missing their manager and power hitting outfielder, and then in the sixth inning superstar first baseman Joey Votto got hit in the ribs and had to leave the game in the seventh inning. Not one but two three-run homers in this crazy contest. Brewers 8, Angels 11 – Scouts: The 6 runs the Angels scored in the first inning was just the beginning in a game that saw a ton of offense and not a lot of quality pitching. LA pulled ahead for good in the 7th on a bases-loaded walk. Tommy La Stella had himself a big night going 2-4 with a pair of homers and 4 RBI’s. Ozuna’s was probably the most impressive misplay ever. Heck, even Jose Canseco got underneath the ball.. Calling Nola garbage last night is a little unfair, in my opinion. He took a 6-2 lead into the 7th, and his undoing started with Ryan Zimmerman reaching on a throwing error; the Gomes and Kendrick home runs followed, and Nola was likely tiring by then. Harper’s home run was loud; was listening on the radio at that point, and knew it was gone when I heard the sound. Harper also struck out in the 9th with the winning run on 1st. Robles’ home run saved the Nats’ bacon, coming with two outs and two strikes in the top of the 9th, with the Phils leading 6-5 at the time. Soto’s homer in the 10th still hasn’t landed. The video above gives you all a chance to sample the various Nats’ announcers home run calls; not sure that either of Charlie Slowes’ “Bang, Zoom” or Bob Carpenter’s “See. You. Later.” is any good, but it’s what we’ve got. The Nats’ bullpen worked six shutout innings last night, lowering their collective ERA to 8.24. I said before this road trip that I’d be happy with 3-3; they’re 3-2 right now, with Jeremy Hellickson slated to start tonight in Philly. Nats used both of their long men (Joe Ross and Matt Grace) for two innings each last night, and Hellickson’s not known for going deep into games, so tonight may be a challenge. How is there a celebration of Latino music with Enrique but not Marc Anthony???? I’m pretty sure he’s the Crush Davis of Latin pop. What can one say after a protracted evisceration like the one the Reds put on the Feesh last night? When I go out on the Gulf Stream for coelocanth (in season only, of course) when we pull one aboard and gut it, we immediately attract swarms of gulls who hover about five feet above us, and we throw bits of skin, guts and heads into the air for them. Reds fans, unfortunately, can’t hover so it was left for the stadium janitors to clean up the mess in the visiting locker room. Jose Urethra started and went five erratic innings, digging a four-run hole for the Feesh. But the real fun began with the advent of the Gopher King, who in his two innings of work coughed up ten runs on nine hits, including four home runs. Three of those home runs came in the sixth, back-to back-to back by Suarez, Farmer and Kemp. Then Schebler parked one the following inning, drawing a HBP of Joey Votto which will almost surely result in a retaliatory gesture and benches-clearing brawl tonight. In other great massacre scenes, the sixth and seventh innings reminded me of nothing so much as the famed “Comanche attack” scene in Cormac McCarthy’s wondrous Blood Meridian. A hoard of Halloween costumed Comanches (“death hilarious,” writes the Master) slaughters a hapless ragtag battalion of filibusters trying to conquer Mexico (sound familiar? ), scalping, eviscerating, decapitating, castrating and flaying their victims with a joyous abandon usually reserved for the aftermath of the an Ultra Festival. Lewis Brinson got two hits, a single and a double, and did not strike out. Let Brinson sleep, for when he awakens the world will tremble. No, these Feesh are not very good, but entertainment follows them like the plague follows rats. 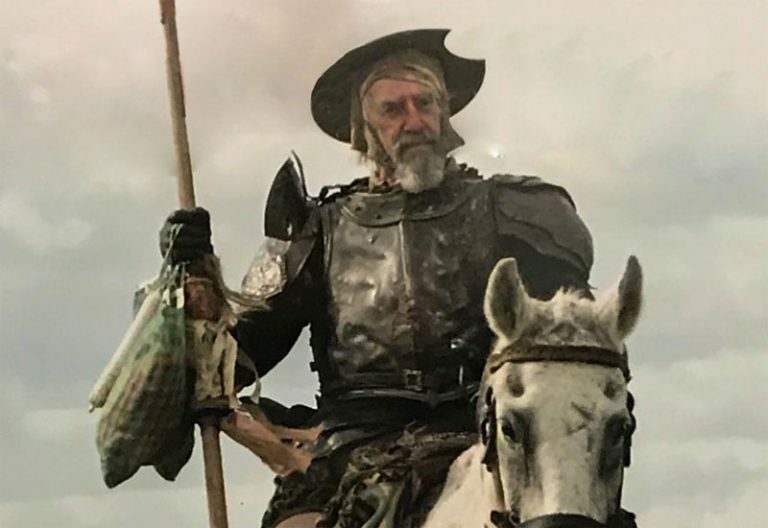 Unfortunately I’m going to have to play catchup with tonight’s game because I’m going to see the one-screening-only premiere of Monty Python alumnus Terry Gilliam’s The Man who Killed Don Quixote. He’s been trying to make a Quixote film for twenty years and the concatenation of disasters following on that doomed enterprise beggars the imagination, even after watching two innings of the Gopher King last night. Well, he finally executed a swerve, as it were, and made his Quixote film – not what he set out to do, but hell, he managed to get it through all the stages of production and here it is. He’s got Brazil alumnus Jonathan Pryce as the delusional Knight of the Sorrowful Countenance and Adam Driver (Darth Vader lite) as Sancho. I cannot but honor the auteur of such all-time classics as Time Bandits and Brazil so, game or not, orf to the cinema I go. As a rock guy there’s lot of options to go with, including Richie Valens, Santana, Los Lobos and ? 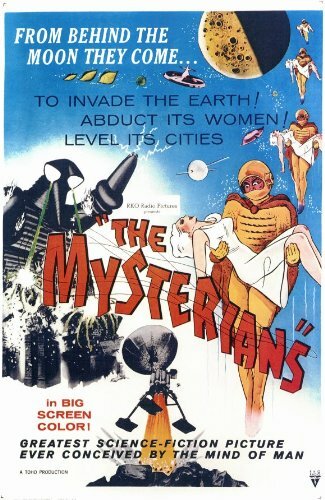 and The Mysterians. Thought about subjecting y’all to some Menudo, but I like you so I’ll go with this ’60s nugget. I’ve been trying to remember which one of you warned me not to put the snow shovels away until after tax time. I did file an extension today but too little too late I guess. I’m going to watch for the neighbors to be out shoveling and go out with a mouthful of tomato juice and pretend to cough blood. I did. Who else would? If it’s any consolation to you, we’ve entered our rainy season. Warm summer rain, that is.